On October 13th, Andi and Bryan got married at City Hall, and we are now swooning over their wedding photos from this love filled day. These two love birds tied the knot, and April and I were so lucky to be apart of the getting-ready process for Andi and her Mom! April did a sophisticated braided updo for the bride, Andi, while I did airbrush makeup on Andi and her Mom. Andi wanted a bronzed smokey eye with winged liner and big lashes. I get this a lot with moms- and Andi's mom had never had her makeup done! I wanted to make her skin look extra radiant and flawless, and did an individual lash application for a natural look. 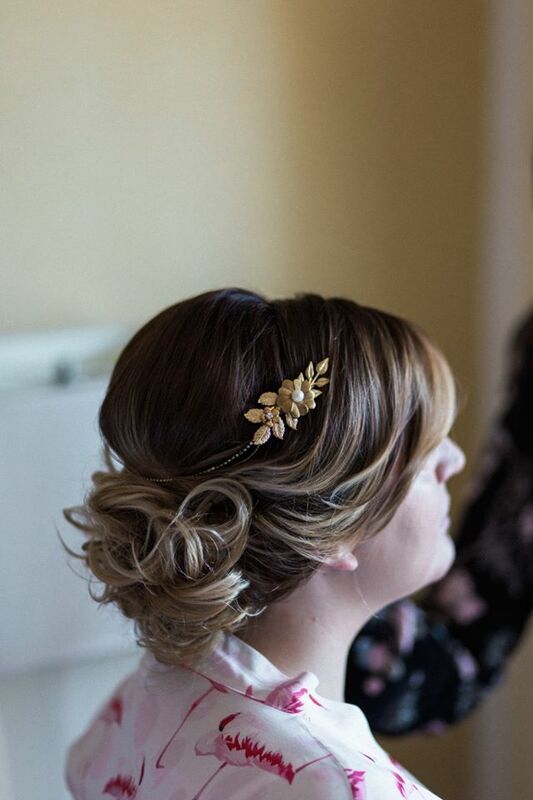 April wanted Andi's hair to also compliment a gorgeous crown that she would only wear for her reception, and highlight her stunning dress from Loho Bride. 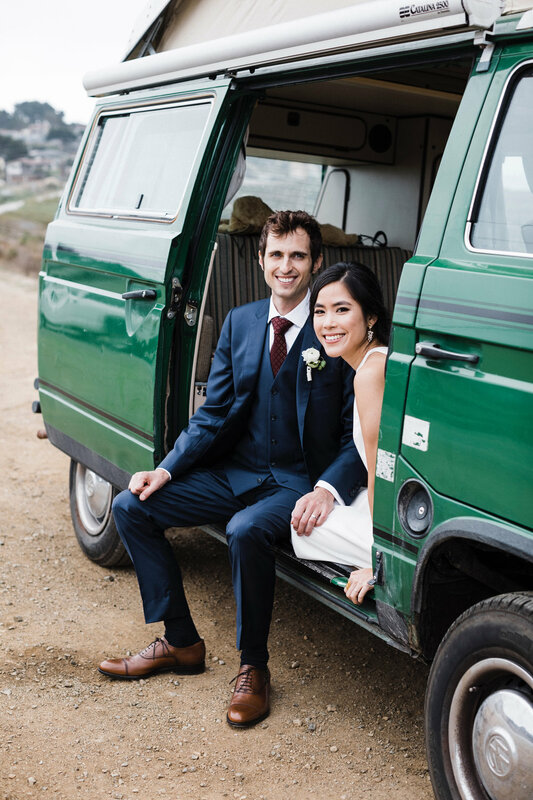 After doing hair and makeup for Andi's small City Hall Wedding in San Francisco, we took off. With makeup waterproof/sweat proof/transfer proof, and hair secure, we knew our work would last Andi throughout the day and night. 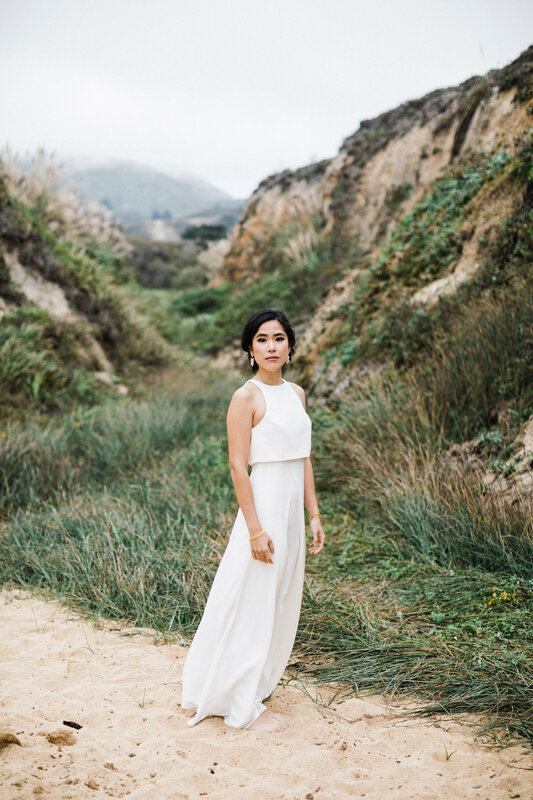 We both can't get over Andi's cool, hip, bridal look. 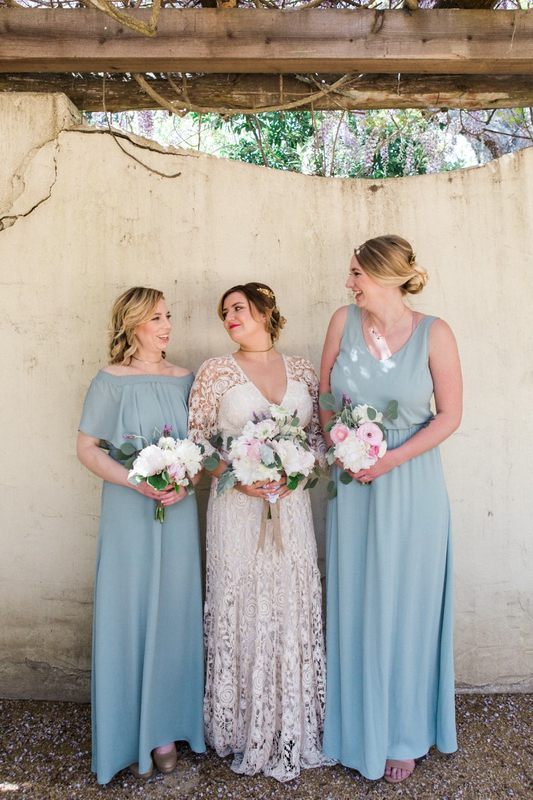 With a personality to match, I knew her wedding dress and total look would be edgy and unique (and STUNNING!). City Hall seriously has the most beautiful lighting- we love how the photos turned out, by San Francisco Wedding Photographer, Christina Hernandez of Nightingale Photography. Andi and Bryan make such a beautiful couple- our hearts melted seeing the photos from their wedding ceremony and reception.